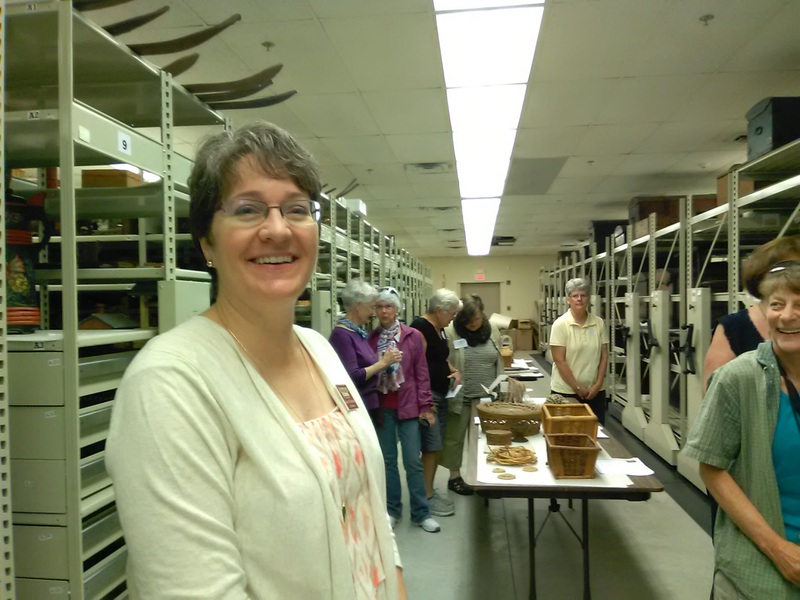 Curator Laurann Gilbertson and I previewed artifacts in the collections in April while I was at the museum for a nalbinding event. 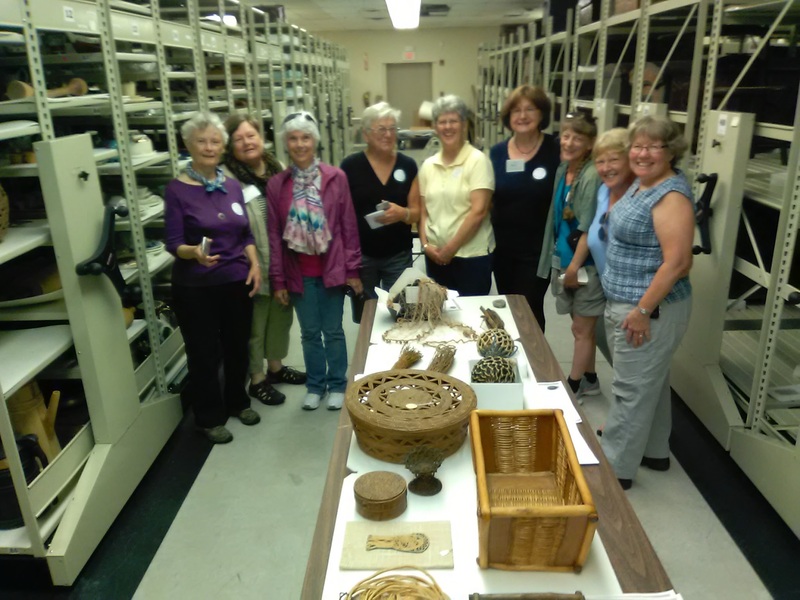 So when the group arrived in June, we were greeted with an array of inspiring objects that are not on display in the museum. 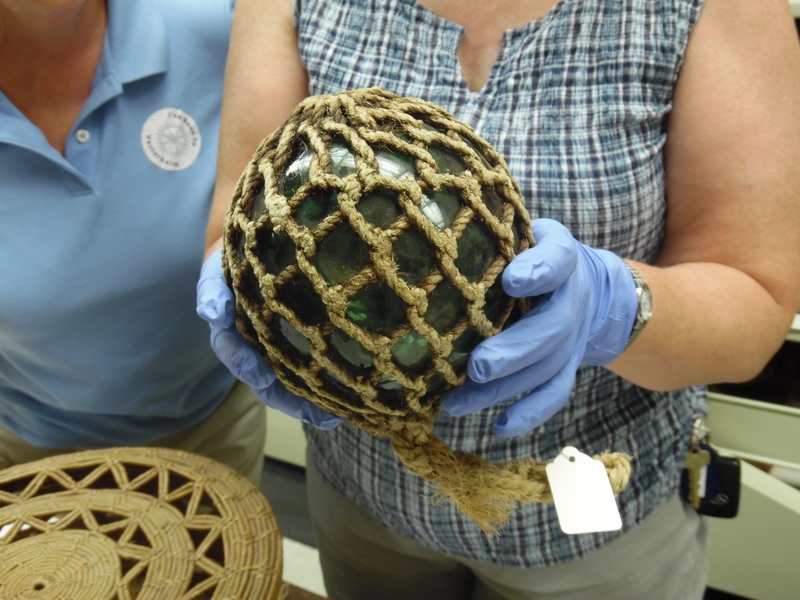 This glass net float was of particular interest to the group. Because after our museum visit, we spent the afternoon exploring Fuegian coiling, a variation on the looping technique used to make the mesh that contains the glass. 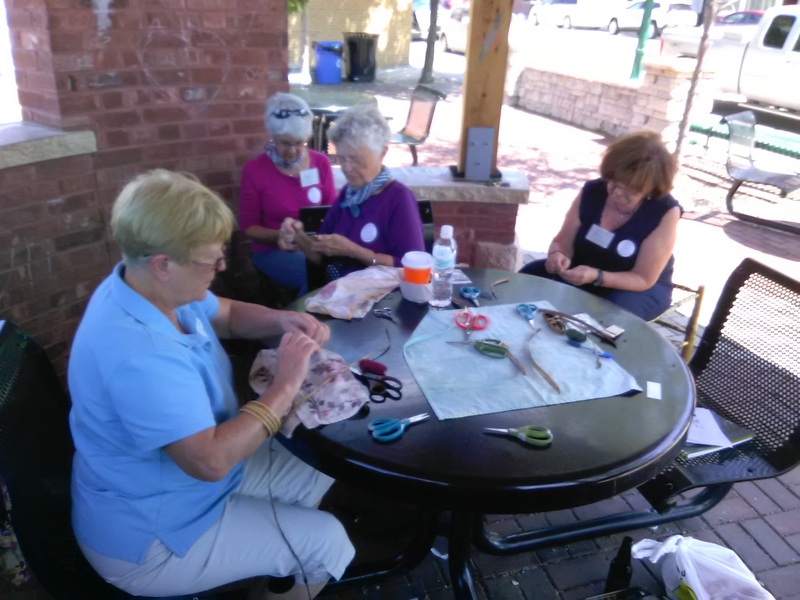 We found a lovely place to sit and stitch downtown, conveniently located between the food co-op and the coffee shop. We sipped, stitched, nibbled, and visited with passersby who wanted to see what we were doing. At the end of the day everyone knew another way to use willow bark — as the core element in Fuegian coiling — and had ideas from the museum to ponder. 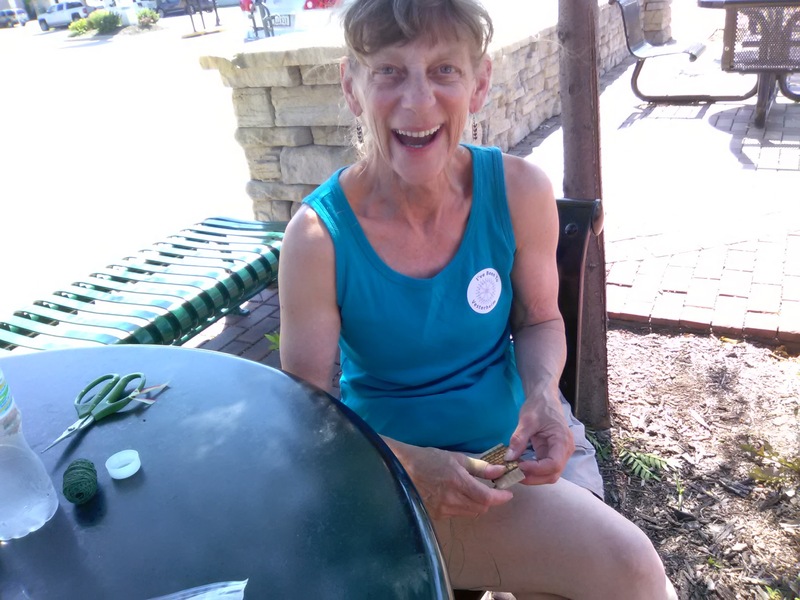 So many wonderful things happen at the Willow Gathering, thanks to organizers Jo Campbell-Amsler and Lee Zieke Lee. 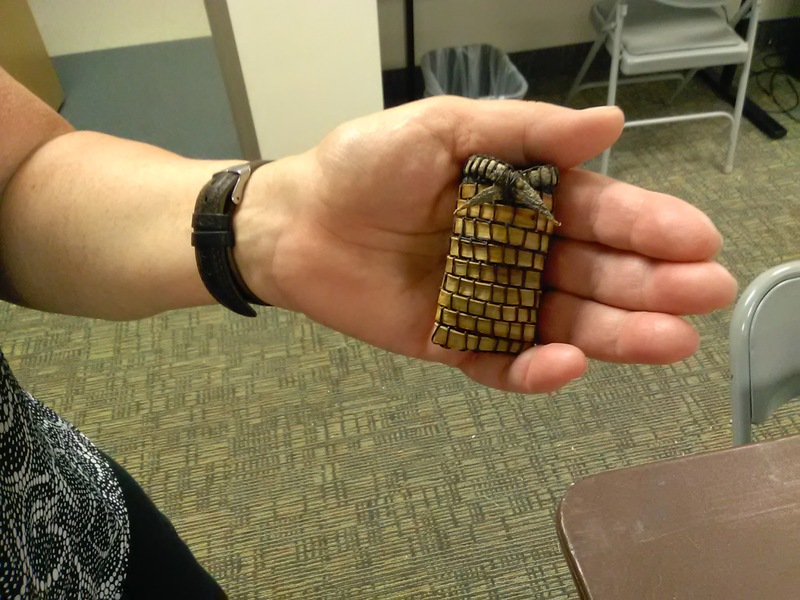 They bring amazing willow basketry instructors to Luther College each year, and create opportunities for sharing and support among the community of willow basketmakers. Here are highlights from the rest of the week. Always love it when I can explore a new technique, explore its possibilities and challenges, think about how it can be applied to my own work . . . especially in company and conversation with such wonderful people. This was an amazing opportunity, Donna . . . not to discount the other classes, but this was best and most enjoyable for me! Thanks for coming, Jacki, and for sharing your own research and experiences at Vesterheim. I can’t wait to see what people do with the ideas from those two sharing baskets!